What is conductive hearing loss? The best conductive hearing loss definition would be: It's a form of hearing loss that middle or outer ear irregularities cause. Conductive hearing loss often causes sound volumes to seem lower and this type of hearing loss can be temporary or permanent. It shares similar characteristics of a clogged ear. It's one of the most common types of hearing loss. Hearing loss incidences drastically increase with age. Only two percent of individuals were born with a hearing impairment, according to a national survey. Four to six percent developed a hearing loss before the age of six; 11 to 12 percent between the ages of six and 19; 50 to 64 percent between the ages of 20 and 59 and 20 to 30 percent after the age of 60. The causes might impact only one part of your ear or a few parts. Depending on the part causing the loss, correcting the hearing loss might require various methods. A licensed medical practitioner or audiologist should be able to accurately diagnose the main cause of conductive hearing loss and recommend appropriate treatment and management. Hearing better when turning up the sound level on radios and tvs. Symptoms may differ depending on which part of your ear is the main cause or multiple symptoms might occur together. Those with conductive hearing loss frequently find increasing the volume of music, TV or radio is all that's required to provide noticeable improvement in how they hear. While not ideal, this can be a quick, temporary fix for the condition until you have it dealt with properly. A conductive hearing loss is reversible and may be managed effectively with proper treatment. It may be treated at home or sometimes surgical or medical treatments are needed to fix the condition. When there's wax buildup, extractors, syringes, cleaners or other ear wax removal tools can help fix the situation, whereas if abnormal growths or infection are present, you may require a medical procedure. Clearing excessive fluid or wax from your ear canal may often eliminate conductive hearing loss. 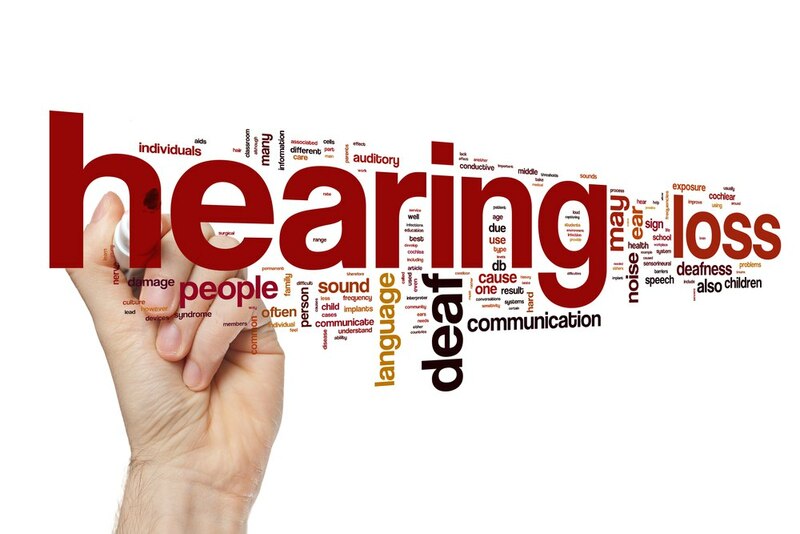 Let's explore different tools and options for treating your conducive hearing loss. An ear wax remover is a safe wax extraction tool available. Because of its expert design, it can't perforate or touch the eardrum accidently. As a result, your hearing and ears will avoid damage during the process of cleaning the ear. It's considered a safer option than Q-Tips. However, the safest option is to visit your Houston ENT specialist for an ear wax removal procedure. A wax removal syringe is designed by physicians to remove hardened ear wax gently. You can use a syringe at home to safely remove ear wax without costly and time-consuming visits for ear syringing. This tool is designed for helping those with hearing loss effectively manage their condition, improving communication. The simple to use amplified phones are manufactured purposefully for individuals with hearing loss. A hearing-impaired telephone contains various features you'd expect but also with things like added clarity and super loud levels of amplification. They're ideal for people looking for a loud phone and their ease of use makes them ideal for seniors. Many models are compatible with hearing aids. There are two forms of phone amplification: extra loud ringtone and extra loud speech volume. Most hearing impaired phones come with both and each function is adjustable separately so ringtone can be altered more than speech and vice versa. Loud alarm clocks are much louder than regular clocks. Sometimes it's hard to wake up if you're not a morning person. Also, if you're hard of hearing, like with conductive hearing loss, you require a loud alarm clock to wake you up. There are even the standard snooze buttons. Stereo and TV headphones: Clear and amplified sound to enjoy your favorite music. Wireless TV listeners: Watch your favorite TV shows at a volume ideal for you. Neck loops: Assistive listening devices delivering sound directly to you. Amplified ringers: Increase telephone volume so you won't ever miss a call again. Personalized amplifiers: Improve sounds around you to hear better. Many of these above are hearing aid and Bluetooth compatible. And, with assistive listening devices, you’ll never have to miss out on music, television or conversations again. Assistive listening devices are useful for individuals who have hearing loss because they provide clarity of speech, tone, voice and different pitches and put emphasis on dialogue. If your conductive hearing loss is a result of inflammation or infections, taking antibiotics may help. If you have a certain condition, such as otosclerosis, middle ear fluid, head trauma, or cholesteatoma, your conducive hearing loss might be improved through surgical repair. If you suspect conductive hearing loss, you'll want to see your Houston ENT & Allergy Services doctor for a hearing test. There's even the convenience of online hearing tests available to you. Never leave your hearing loss untreated as it could negatively impact your health. Request an appointment online or call us at 281-649-7000.